A premier international law firm, our client has provided quality service to clients in litigation, corporate, and intellectual matters for over one-hundred years. Growing local offices with approximately 130 attorneys in the Bay Area since opening in the early 2000’ s.
The firm prides itself on building long-term relationships with clients and working towards finding the best solutions for clients’ legal needs. Known to be the “ best of the best”, this firm fosters an inclusive culture comprised of bright legal talent andemerges as a leading provider of legal services. 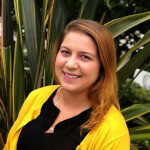 Gina joined ABA as a Service Coordinator in the fall of 2017, prior to graduating from the University of California, Berkeley in December of 2017. While achieving a Bachelor’s degree in Legal Studies, she studied courses regarding legal practices and theories of the economic market and social change. She began college on a Women’s Rowing Scholarship and participated her freshman and sophomore year. Her participation in rowing throughout high school and into college provided a discipline which developed her volition toward achieving personal and team goals. Her goal driven mentality transcends into her participating in interactive, dynamic, and challenging work environments. Looking to become familiar with the legal market in the Bay Area, ABA will provide her the best opportunity to learn and work among the legal market through the approach of a recruiter. She is excited in becoming an addition to the ABA Team. Gina was born and raised in the Bay Area and is from a Bay Area native family. She attended St. Ignatius College Preparatory in San Francisco where she graduated from in 2013.